Inguinal hernias are the most common type of hernia. They represent approximately two thirds of adult hernias and are much more common in men than in women. They occur in a part of the abdominal wall known as the inguinal canal, where a man’s testicles must descend before birth. This leaves a natural defect called the internal inguinal ring that can develop into a hernia if it doesn’t seal properly. As a result, the contents of the abdomen, such as intestine, may protrude through the opening, creating pain and/or a bulge. 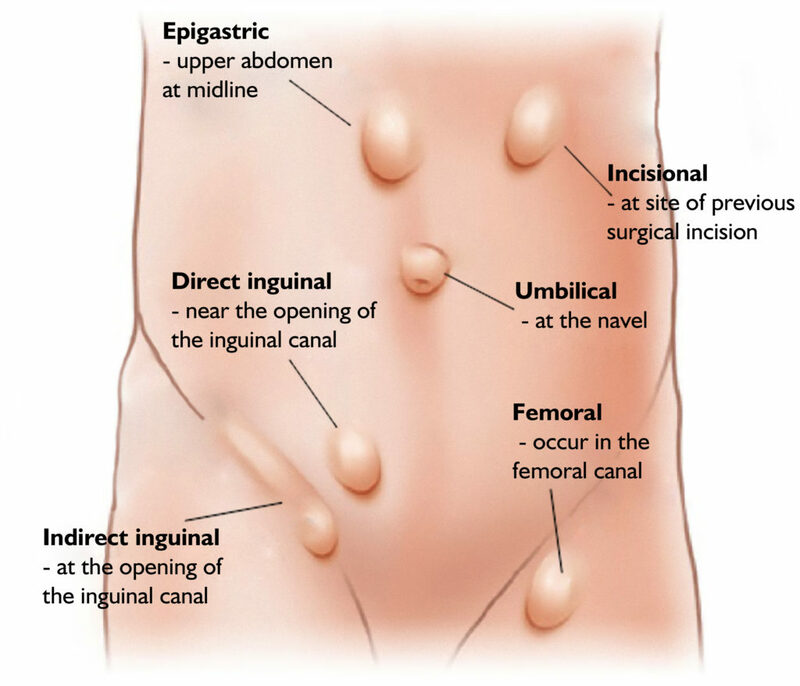 nguinal hernias are located in the lower abdomen just above the leg crease, near or adjacent to the pubic area. They can sometimes occur on both sides of the pubic area, and if they do, they are called bilateral inguinal hernias. Inguinal hernias, along with femoral hernias make up the 2 types of groin hernias and can produce pain that extends into the upper thigh or scrotum. Inguinal hernias can be classified as “direct” or “indirect”. An indirect inguinal hernia occurs through the natural weakness in the internal inguinal ring. A direct inguinal hernia is a result of weakness in the floor of the inguinal canal and is more likely to develop in older men over the age of 40. The floor of the inguinal canal is located just below the internal inguinal ring. When inguinal hernias are repaired with a technique called tension repair, recurrence rates may be higher than 15%, which means that the hernia may reappear in time.1 Other hernia repair techniques, such as tension-free and laparoscopic tension-free, have much lower recurrence rates. See Methods of Repair for more information. 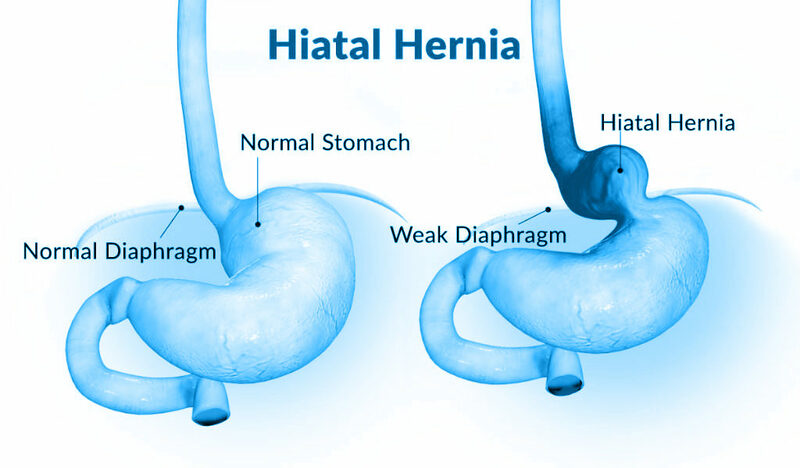 Hiatal Hernias are slightly different from other types of hernias because they are a weakness or opening in the diaphragm, which is the muscle that separates the chest cavity from the abdominal cavity. These Hernias cause reflux of acid from the stomach into the esophagus, which can lead to heartburn, pain, and erosion of the esophagus. Surgery to repair this type of hernia is usually more complicated and may require a longer hospital stay. Hello! Welcome to our website, here you will find information about us, our products and services.